Extraoral sinus tracts of dental origin often are a diagnostic challenge. A delay in correctly diagnosing these types of lesions can result in ineffective and inappropriate treatment. A 64 year-old immunocompromised female with a huge cutaneous draining tract was referred to our clinic complaining of a purulent discharge from her skin on her right submandibular area. In clinical examination and radiographic assessment, periapical lesion associated with roots of lower right first molar was noticed. According to the patient history, she had kidney transplantation 17 years ago. Following the identification of the source of infection, it was surgically and medically resolved, and skin closure was performed. Her postoperative healing period was supported with hyperbaric oxygen therapy as well. Sinus tract was successfully treated. Diş kaynaklı ekstraoral apse drenajları teşhiste sıklıkla kafa karıştırıcı bir problemdir. Bu tip lezyonların doğru bir şekilde teşhisinde yaşanan gecikme etkili ve uygun olmayan bir tedavi yaklaşımı ile sonuçlanabilir. Büyük bir kutanöz drenaj lezyonu ve immün system yetmezliği bulunan 64 yaşında kadın hasta, sağ submandibular bölgesinde pirülan bir akıntı ile kliniğimize başvurdu. Klinik muayenesi ve radyografik değerlendirilmesinde, sağ alt birinci azı dişinden kaynaklı periapikal lezyon olduğu fark edildi. Hastanın alınan tıbbi hikayesinde, 17 yıl önce böbrek transplantasyonu geçirmiş olduğu tespit edildi. Enfeksiyon kaynağının tespitini takiben, enfeksiyon kaynağı cerrahi ve medical olarak tedavi edildi ve cilt açıklığı kapatıldı. Hastanın postoperative iyileşme periyodu hiperbarik oksijen tedavisi ile desteklendi. Ekstraoral apse drenajı başarılı bir şekilde tedavi edildi. Kaban LN. Draining skin lesions of dental origin: the path of spread of chronic odontogenic infection Plast Reconstr Surg 1980; 66: 711-717. Spear KL, Sheridan PJ, Perry HO. Sinus tracts to the chin and jaw of dental origin. J Am Acad Dermatol 1983; 8: 486-92. Ciofi GA, Terezialny GT, Parlette HL. Cutaneous draining sinus tract: an odontogenic etiology. J Am Acad Dermatol 1986; 14: 94-100. Hodges TP, Cohen DA, Deck D. Odontogenic sinus tract. Am Fam Physician 1989; 40: 113-l 16. Marasco PV, Taylor RG, Marks MW, Argenta LC. Dentocutaneous fistula. Ann Plast Surg 1992; 29: 205-210. Karp MP, Bernat JE, Cooney DR, et al. Dental disease masquerading as suppurative lesions of the neck. J Pediatr Surg 1982;17:532–536. Cohen PR, Eliezri YD: Cutaneous odontogenic sinus simulating a basal cell carcinoma: case report and literature review. Plast Reconstr Surg 1990; 86:123–127. Fatouris PN. A cautionary tale: case report. Aust Dent J 2000;45:53–54. Sakamo E, Stratigos GT. Bilateral cutaneous sinus tracts of dental aetiology: report of case. J Oral Surg 1973;31:701-704. Heling I, Rotstein I. A persistant oronasal sinus tract of endodontic origin. J Endod 1989; 15:132-134. Calişkan M.K., Sen B.H., Ozinel M.A. Treatment of extraoral sinus tracts from traumatized teeth with apical periodontitis. Endod Dent Traumatol, 1995, 11: 115-120. Ingle J.I., Taintor J.F. Endodontics. Philadelphia: Lea Febiger, 1985, 497-498. 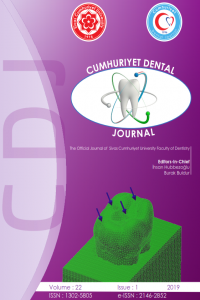 Seltzer S. Endodontology: Biologic considerations in endodontic procedures. Philadelphia: Lea Febiger, 1988, 155. Anderson NP. Persistent sinus tracts of dental origin. Arch Dermatol Syph 1937; 35: 1062–73. Hyman AB, Brownstein MH. Bilateral odontogenous sinuses. Arch Dermatol 1966; 93: 718–19. Lewin-Epstein J, Taicher S, Azaz B. Cutaneous sinus tracts of dental origin. Arch Dermatol 1978; 114: 1158–61. Mahler D, Joachims HZ, Sharon A. Cutaneous dental sinus imitating skin cancer. Br J Plast Surg 1971; 24: 78–81. Kotecha M, Browne MK. Mandibular sinuses of dental origin. Practitioner 1981; 225: 910–15. Busselberg LF, Horton CE, Carraway JH. Cysts and sinuses of the face resulting from dental abscesses. Surg Gynecol Obstet 1979; 149: 717–18. Wilcox W J. Acceleration of healing of maxillary and mandibular osteotomies by use of hyperbaric oxygen – a preliminary report. J Oral Surg 1976; 41: 423–429.